Use this registration option for the Basilica tour only. This registration does NOT include an RSVP for the optional lunch following the tour. Use this registration option to sign up for the tour AND to RSVP for the optional lunch following the tour. 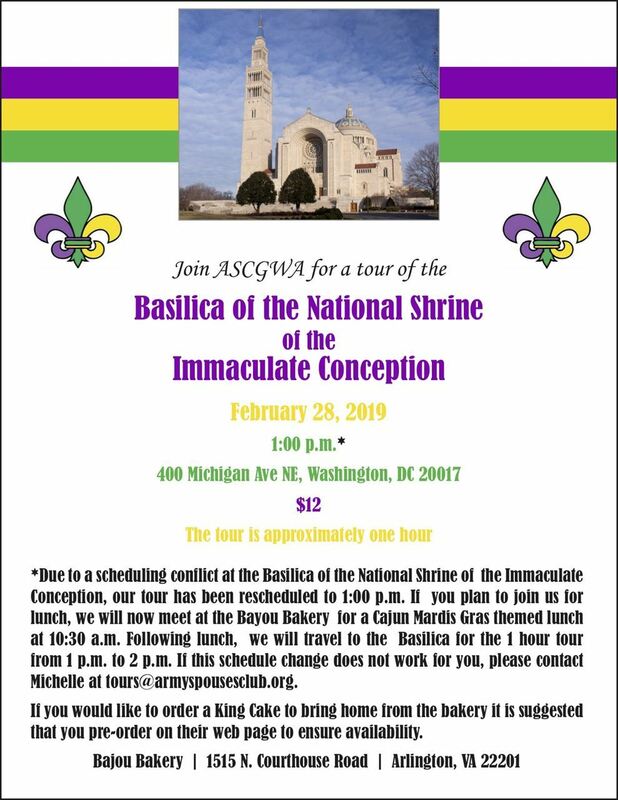 Please see the details for on the flyer below for UPDATED information regarding lunch at the Bayou Bakery, now followed by the tour at Basilica. Bayou Bakery - Metered parking is available on the cross streets. Garage parking is available on 15th Street, just past the eatery. The Basilica of the National Shrine of the Immaculate Conception - There is ample free visitor's parking at the Basilica. The main parking lot can be accessed via Harewood Road which is on the left side of the Basilica.